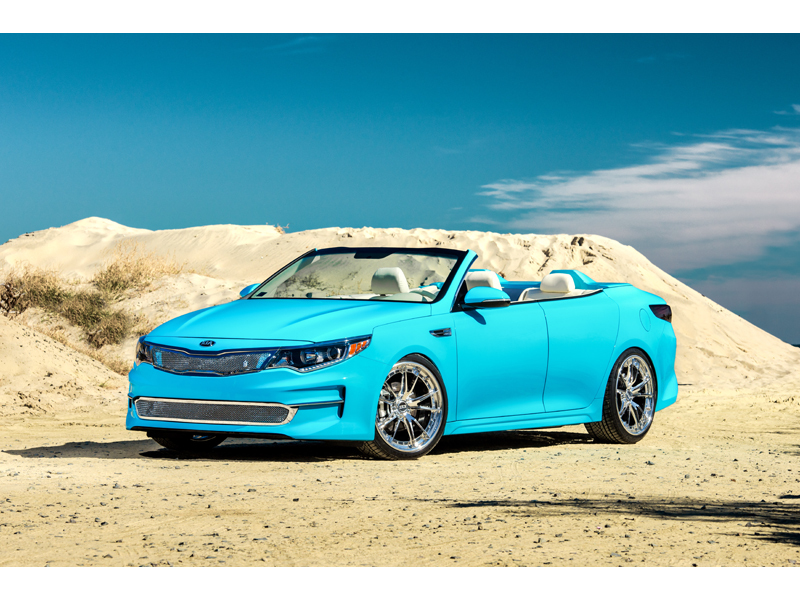 Kia Motors America (KMA) today unveiled four all-new customized vehicles at the opening day of the 2015 Specialty Equipment Market Association (SEMA) Show, showcasing America's cultural diversity and our shared love of the automobile. Including a first-time SEMA appearance by the Trail'ster electric hybrid AWD concept that was first unveiled at last year's Chicago Auto Show and a return by popular demand of the Ballast Point Sedona, Kia's 2015 SEMA display commemorates a uniquely American form of wanderlust: A road trip to the farthest corners of the country and everywhere in between. "Kia is a challenger brand, and our ability to outpace the industry without the benefit of a truck in our lineup speaks volumes about consumers discovering the new Kia," said Michael Sprague, chief operating officer and EVP, KMA. "With the all-new 2016 Optima arriving in showrooms and the completely redesigned 2017 Sportage set to make its North American debut this month at the LA Auto Show, this is an exciting time for Kia as we push toward a strong finish to the year." A total of six custom vehicles are showcased in Kia's booth at SEMA to help tell the story of an all-American road trip inspired by unique traits of different regional landscapes throughout the nation.